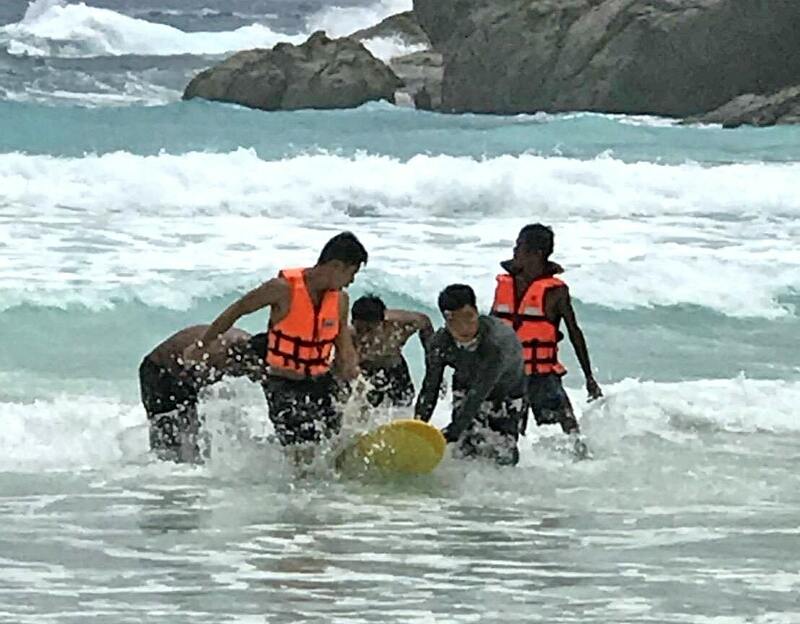 A male Chinese tourist, who ignored red flags, has drowned at Koh Racha yesterday (August 19). Chalong Police were notified at 1.40pm that a tourist was unconscious after being pulled from surf just off the island’s main beach. The tourist was immediately taken on a speedboat back to Chalong Pier. The tourist was later identified as 32 year old Zhang Guo Jun, a Chinese national from Beijing. He was rushed to Chalong Hospital where he was later pronounced dead. Mr Zhang was travelling around Phuket with his family for a week’s holiday. They arrived in Phuket last Friday They were planning to head back to China this Thursday. 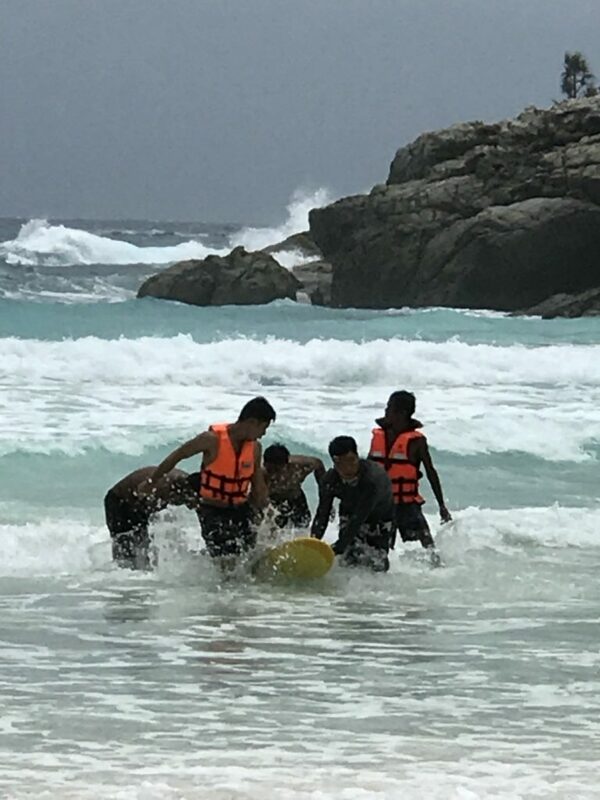 While Mr Zhang and his family of four were waiting for a boat to head back to Phuket they decided to go for a swim in a location where there were red flags along the beach. They weren’t wearing life jackets (some Chinese often wear floatation devices when swimming). The four were pulled out of the surf but Mr Zhang was unconscious when he was brought out of the water and pronounced dead by the time he reached Chalong Hospital.